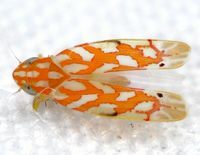 Abundance: Recorded from a handful of counties in the Piedmont and Coastal Plain, where is is uncommon; probably more abundant in the right habitat, especially in these two regions. 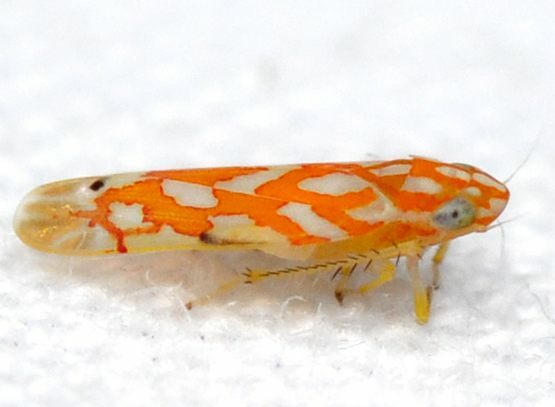 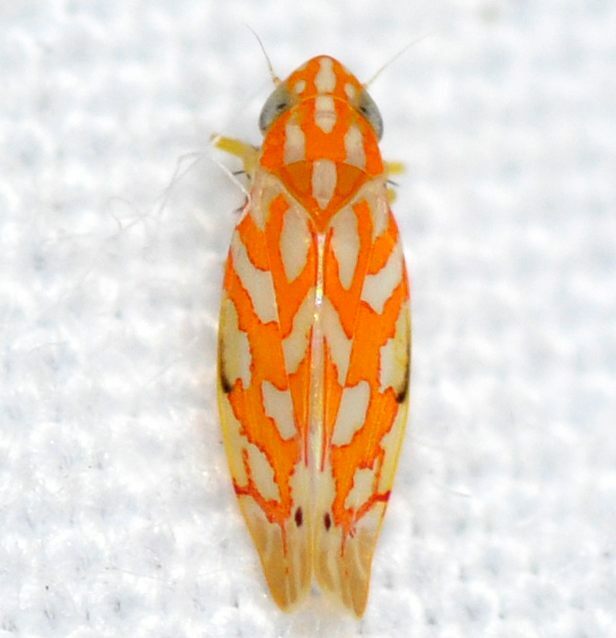 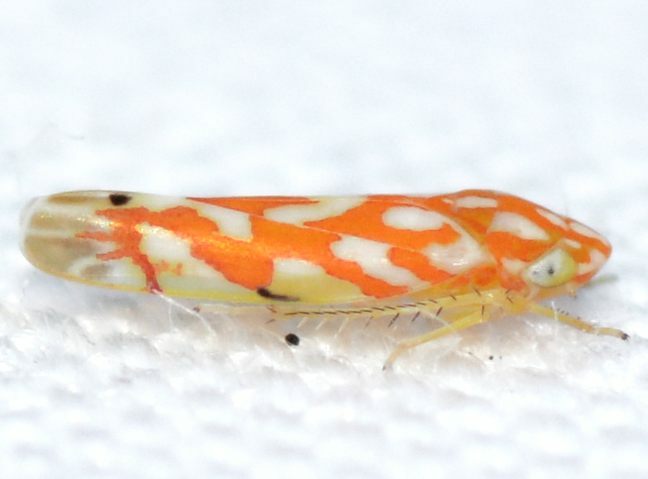 Comment: This species is similar in appearance to many of the Erythroneura species "with interconnected orange lines." All have interconnected orange wing markings, however there are differences in the pattern and the markings themselves. 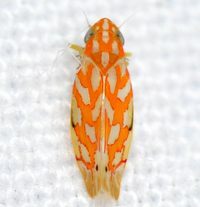 The prominent white patch below the scutellum, surrounded by orange, is clearly divided, with the orange usually lining the entire inner margin of the wing in E. comoides; in the Erythroneura group, this white patch is largely circular, with no orange lining the inner margin of the wings. 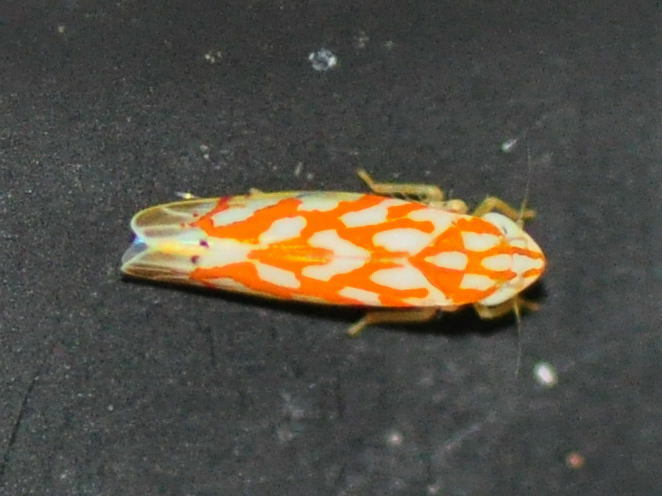 Additionally, the orange mark that is inside the white "diamond" shape near the tip of the wings is shaped like an downwards facing arrow, being noticeably long and pointed and extending up into the top white patch in E. comoides, and shaped like a squat trapezoid in the Erythroneura group. The orange submedial lines on the vertex tend to have a distinct branch extending outwards (gives the impression of a white spot on each side of the line) while the Erythroneura group tends to lack these branches. 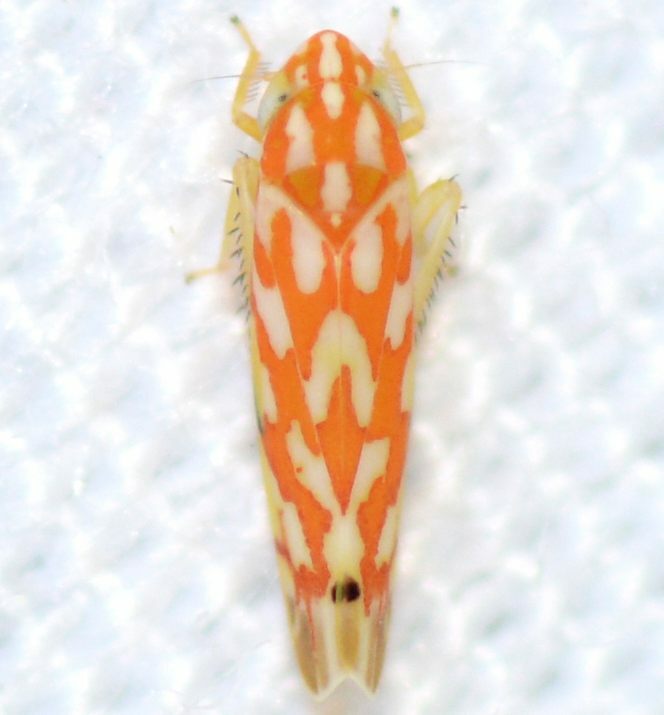 And finally, the pattern itself is typically much more bold and a vibrant orange in E. comoides.